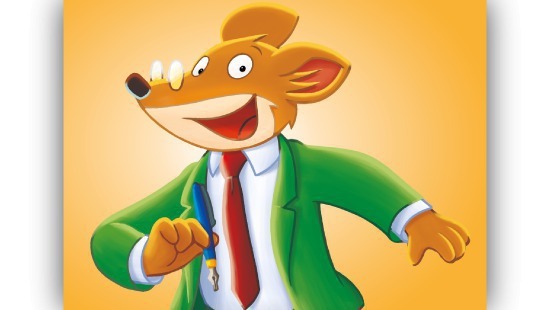 A selection of 16 episodes from the new series of Geronimo Stilton is presented to Chinese children, in cycle of special screenings hosted by Italian Institute of Culture in Beijing during the summer holiday. The event is part of a special promotion organized by Pump Push Creative, Atlantyca Entertainment’s Chinese distribution partner, and hosted in the Auditorium of Italian Institute of Culture in Beijing. In conjunction with the outstanding success of the sales Geronimo Stilton book series, over 10 million copies to date in China, the event is also celebrating the success of the animated series Season 1 and the recent launch of Season 2, on China’s Tencent Video, the leading Chinese online video entertainment platform owned by China powerhouse and conglomerate Tencent. Pump Push Creative bartered the deal for Atlantyca which was announced earlier this year. The series garnered over a million views on its first day of programming alone. The screenings at the Italian Institute of Culture are in English with the Chinese and English subtitles and hold 30 to 50 families weekly. Geronimo Stilton’s young fans are given a special personalized Geronimo Stilton branded gift. The event is also supported by Atlantyca, whom since its establishment in 2007, has been dedicated to leading the way in the International market. For over a decade, Atlantyca has been responsible for the distribution of hundreds of engaging stories under the “Made in Italy” initiative. Over 1300 deals secured with over 80 publishers have been instituted, through Atlantyca’s Beijing office.